The murderer is with us - on the train now..."
All aboard FOR this murderous gem! Murder on the Orient Express is a wicked good time! My interest was piqued by this story as soon as I learned about the film remake hitting theaters(with a star-studded cast). I have to admit that this is my first Agatha Christie novel but it will not be my last! Murder, lies, dark secrets, all unfolding before your eyes, what more could you want?! I feel it's unnecessary commenting on Christie's writing style. She is a legend in literary world for a reason. She penned colourful, stand out characters that leapt right off the pages. You can smell their perfume. The scent of cigars filling the air. The crisp air of the winter's evening raising goosebumps. The Murder on the Orient Express comes to life. The novel is written with the beautiful, rich language of the time of it's original publication, 1934, which made for a more authentic reading experience. 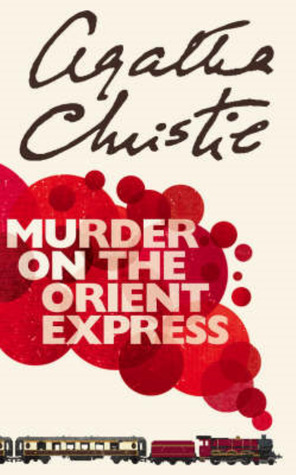 The Murder on the Orient Express is far more than a mystery novel. As each piece of the puzzle is slowly making it's way into place, you are still left completely unaware of the final outcome until the very last pages. A twist that you will not see coming! I did not expect to enjoy this novel as much as I did. A true gem in every sense of the word. A wildly entertaining ride. Buckle up, you're in for a treat! “What's wrong with my proposition?"